... the Ents had marched out of Fangorn to defend Lórien from the assault of the Shadow? 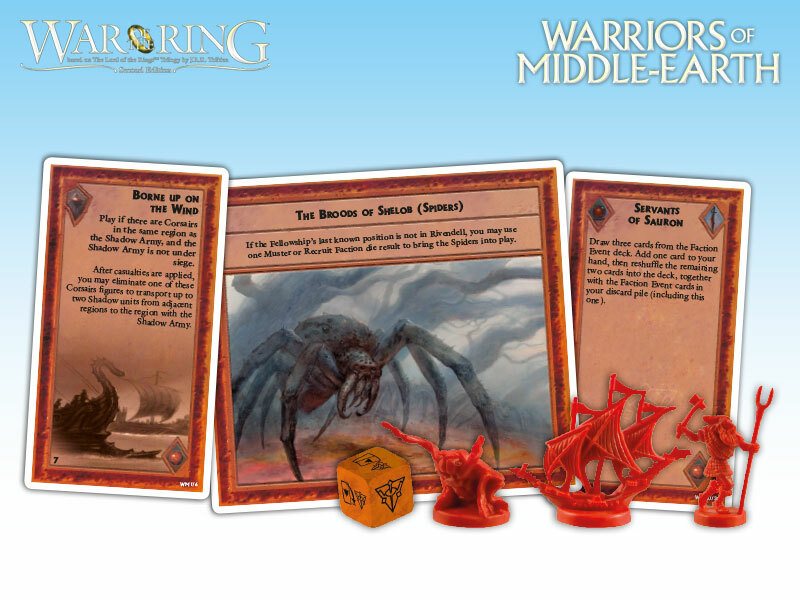 ... the dark broods of Ungoliant had crawled out of the depths of Mirkwood and up the crevices of the Ephel Dúath? ... the Eagles had assisted the Ring-bearer in his journey toward Mordor? 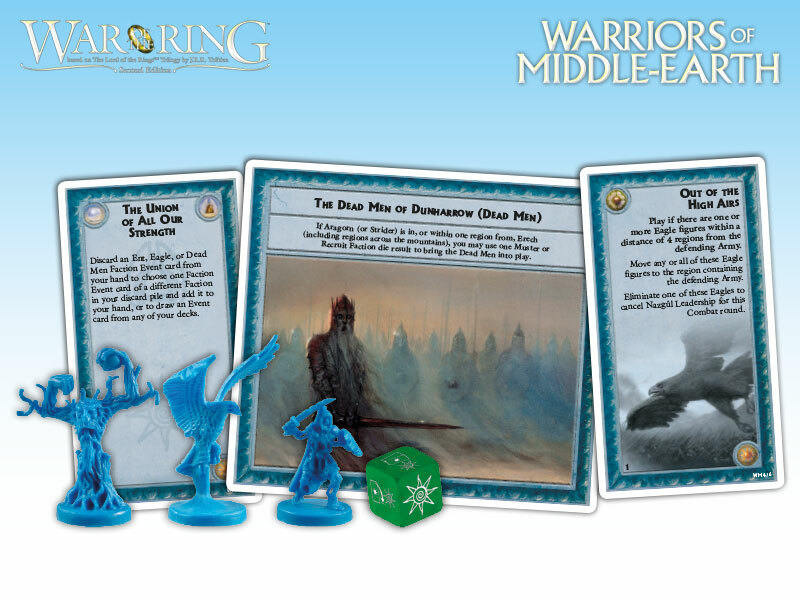 Warriors of Middle–Earth™ gives new depth to the deeds of these combatants — previously featured in the game only as Event cards — now making them an essential part of the game, complete with unique figures and special abilities. ly with the Eagles to the rescue of the Fellowship or to relieve a siege. 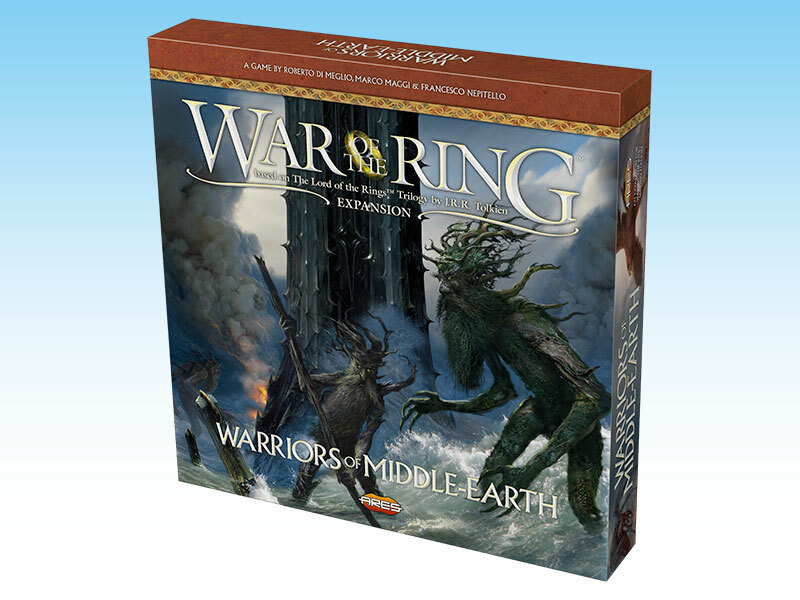 With new special dice, two decks of Faction Events, and new figures, Warriors of Middle–Earth™ greatly expands the options of both Free Peoples and Shadow, and makes every War of the Ring™ Second Edition battle even more challenging and fun.